Director Ryu Seung-wan’s crime thriller “The Unjust” won Best Picture at the 32nd Blue Dragon Film Awards on Friday, while actress Kim Ha-neul and actor Park Hae-il received the top acting honors in a repeat of last month’s Daejong Film Awards. An incisive portrayal of corruption and extortion of public officials surrounding a serial murder case, “The Unjust” also won Best Director and Best Screenplay. Ryu, who was reportedly on a business trip in Berlin, did not show up to Friday’s ceremony at the Hall of Peace of Kyung Hee University in Seoul. His wife, Kang Hye-jeong, who served as producer of the film, received the honor on his behalf. Kim Ha-neul was once again honored with the top acting prize for her role as the visually impaired woman in the serial killer thriller “Blind,” after winning the first Best Actress honor of her 15-year career at Daejong Film Awards last month. Kim was competing with Chinese heavyweight Tang Wei, who starred as a tormented prisoner in director Kim Tae-yong’s “Late Autumn,” for the prize. The two actresses hugged when Kim was announced as the winner. Park Hae-il also repeated his Daejong success for his role as the heroic archer in the period drama “Arrow, the Ultimate Weapon.” Park, who is currently shooting best-selling-novel-turned-drama “Eungyo,” took off his hat and revealed his shaved head for the part during his acceptance speech. In the upcoming movie, Park plays a poet in his 70s. Ryu Seung-ryong and Moon Chae-won won Best Supporting Actor and Best New Actress, also for “Arrow, the Ultimate Weapon.” The film also picked up Best Tech and Box Office, winning the most awards this year. Yoon Sung-hyun, a 29-year-old director who debuted this year with his highly successful film-academy graduation project, “Bleak Night,” received the Best New Director prize. 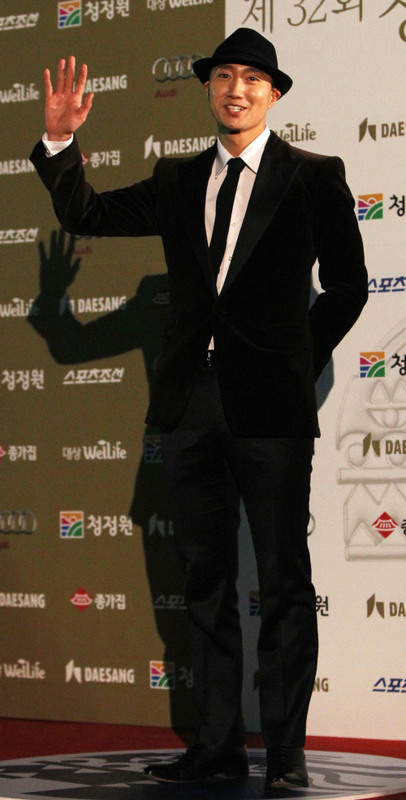 Actor Lee Je-hoon, who stars as the young protagonist in Yoon’s film, received the Best New Actor prize. A deft cinematic portrait of three high school boys and their twisted friendship, “Bleak Night” has been premiered at many international film festivals, including 2010 PIFF, 2011 Taipei Film Festival and 2011 International Film Festival Rotterdam. Both Yoon and Lee won the same prizes at Daejong Film Awards last month.